Welcome to Arnhem, Galloway Province! Situated on the shores of Lake Pelorus and nestled the middle of the Trend Ranges. Arnhem is the premier holiday destination from skiing to mountain hiking to lazing at the lake. Over the next few updates we will be exploring the City and Hinterland of Arnhem. 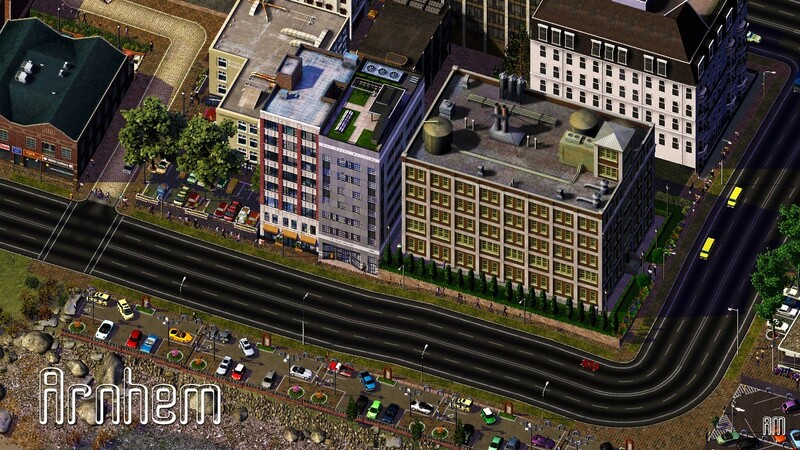 Here is a teaser picture of the City Centre. This is the outlet where the Arnhem River flows from Lake Pelorus. 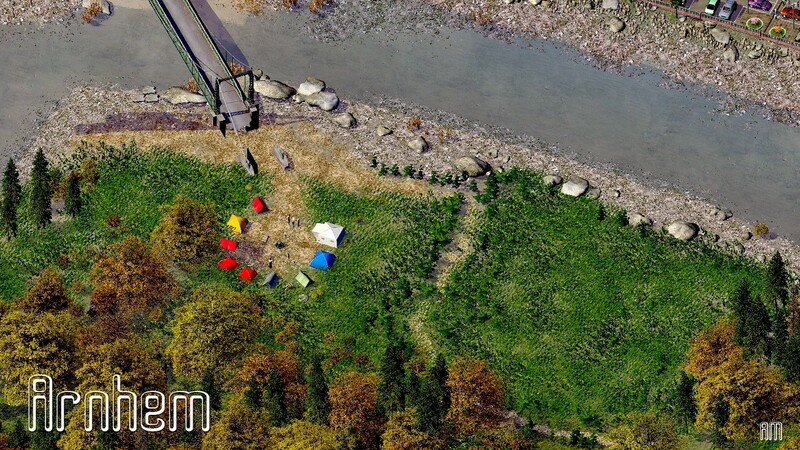 It is a popular camping spot, even with town so close. Hope you enjoyed this small teaser! Please Comment, Rate and Like!